There's one thing that automatically springs to mind when I think summer makeup, and that's dewy skin. I really can't think of anything worse than a matte mask like finish in the sweltering heat, I mean it's not a good look is it? Then again, I say sweltering heat, more like rain in England... but let's just pretend that the sun comes out to say hello more than once in a blue moon, if only for this blogposts sake. Anyway, before I go off onto a half an hour rant about the lack of sunshine and my ghostly pale skin that I'm donning at the moment, I'll move onto all things glowy again. So, to achieve that summer glow that I crave I always reach for my trusty Soft & Gentle highlighter which is absolutely brilliant for supplying me with my daily 'dewy finish' fix. To put it simply this is just a really lovely highlighter that compliments your contour and make your cheekbones 'pop'. 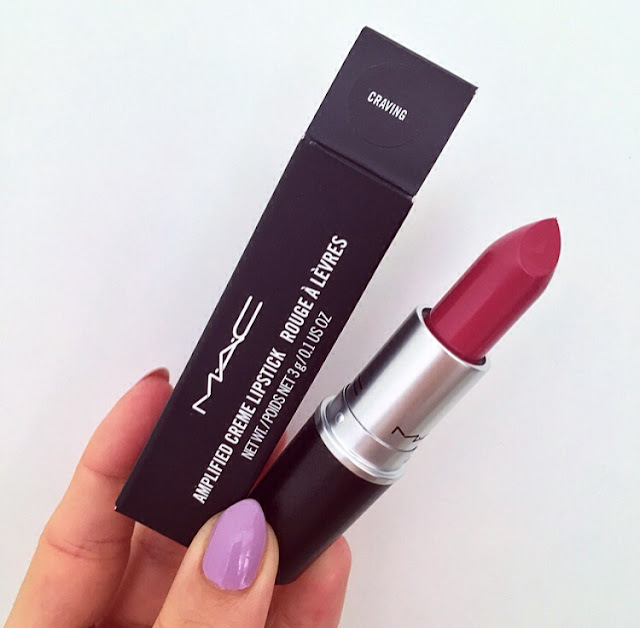 Another 'must have' on my summer essentials list is a bright lipstick... surprise, surprise. Because, let's face it nothing says summer quite like a lippy that demands to be seen! It'll also come as no surprise to you that my favourite summer shades are all MAC- they really are the best of the best when it comes to the range of different shades they have. My latest lipstick purchase is 'Craving' which although does look nice in the summer, I would actually class as more of a Autumn/Winter kinda colour as it is berry. But do you why it's included in the post? It's new, pretty and a brand new untouched lipstick is a bloggers dream to photograph- hands up fellow bloggers who are with me on this! My fave summer shades are 'Vegas Volt' a gorgeous coral/orange shade, 'Flat Out Fabulous' a bright matte pinky purple and last but not least 'Lady Danger' an in your face orange toned red. And you can read all about those lipsticks, here. When it comes to eyeshadow I'm a bit of a creature of habit, gold smoky eyes and I'm good to go. Every now and then if I'm feeling on the adventurous side I'll try something new and that's where this Urban Decay palette comes in. 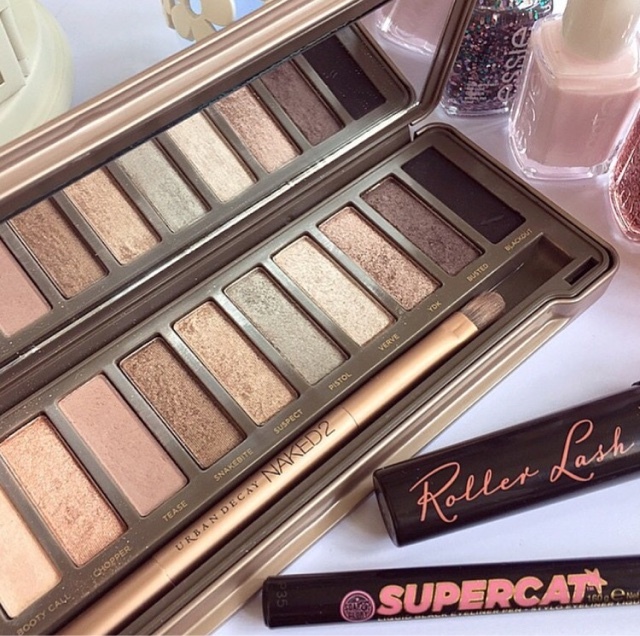 I feel like this is the perfect eyeshadow palette for over the summer months as it includes some gorgeous shades and has a wide variety for if you're travelling and don't want to take lots of individual shades. As for the quality of the eyeshadows in this palette I really cannot fault them whatsoever. Unlike most I've used in the past I find these to be extremely pigmented, they also don't fade and crease as the day goes on which is brilliant if it hot as they won't budge. I'd definitely give the Naked 2 a 10/10 rating, I just need to get my hands on the other two palettes now! As you may know if you follow me on Instagram, I'm a huge nail varnish fan. I'm never seen without a pop of colour on my nails, and I love to wear bright shades in the summer to compliment a tan when I finally get one. My nail varnish of the moment is this gorgeous light blue shade which I bought with my boots points only recently. 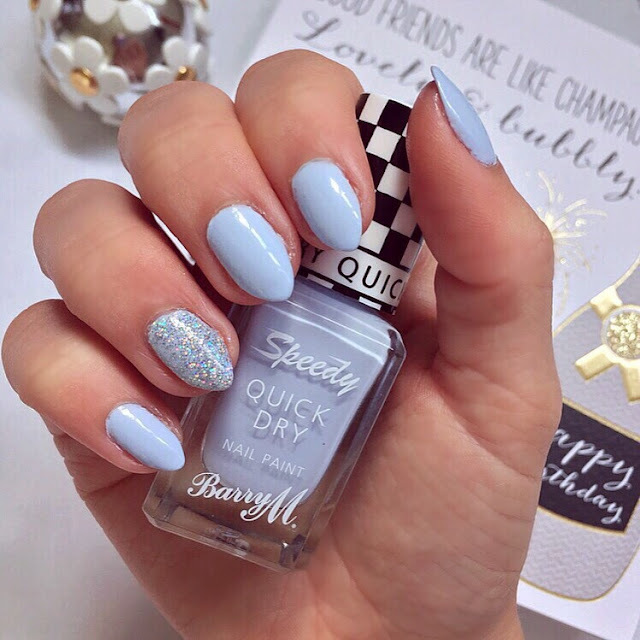 This is one of Barry M's speedy quick dry range, which if I'm being completely honest I didn't actually find to dry any quicker than the average. As it is quite a light colour this does require at least two coats- I applied three- but other than that it is brilliant and I can see myself wearing this over and over until I get bored! Last but not least, perfume. I tend to opt for something quite light and girly for the summer months as I usually wear quite strong perfumes such as Alien by Thierry Mugler and Coco Mademoiselle by Chanel- my two all time faves by the way. Not only does Daisy Dream win the prize for the most photogenic prettiest perfume bottle in existence, this also smells just as pretty as it looks. I'm absolutely hopeless at trying to describe the smell of something- hence leaving this until last- but I'd describe this as a quite fresh, floral, feminine scent. That's as good as the description is going to get I'm afraid, I bet you're sat reading this thinking 'she wasn't lying when she said she was rubbish at describing things', you'd be right to think so! 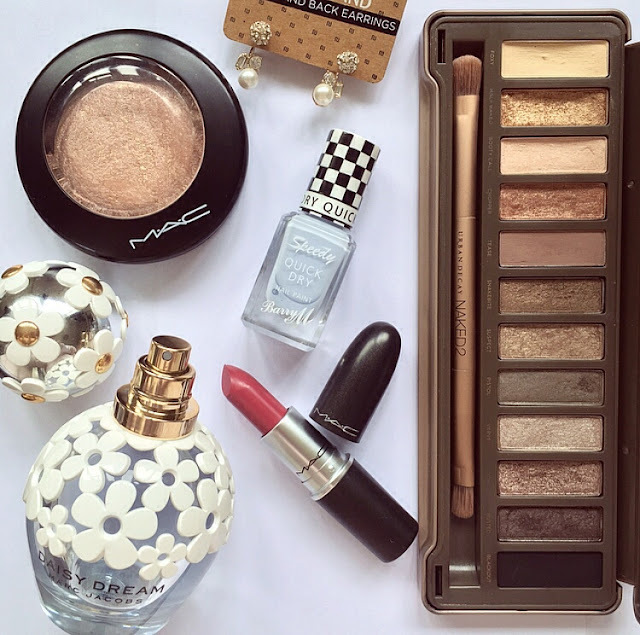 So there we have it there's just a few of my beauty summer essentials, which products do you find yourself loving when the weather gets warmer?